Growing Concerns a project by RAW Labs artist in residence Almudena Romero. It explores the relationship between the migration of people, and the movement of goods and trade. The project takes a look back at the relationship between migration, trade and plants, exploring how control over plantations generated slavery, and how plant production has affected migration. 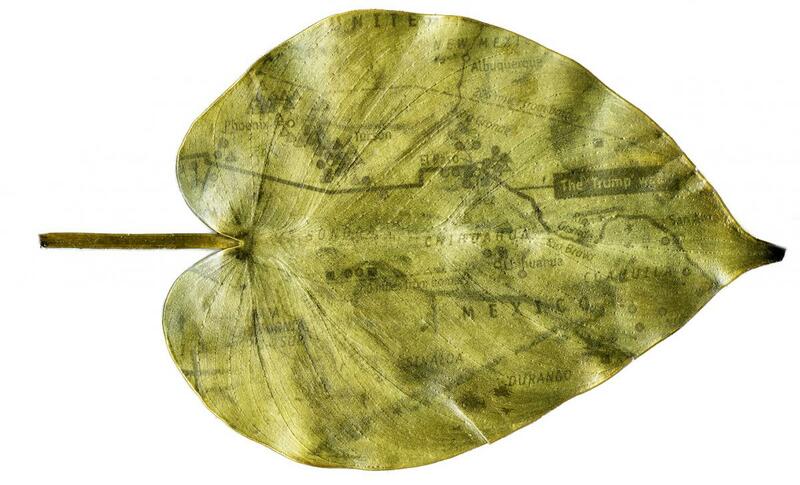 Using plants from former British colonies as her canvas, Almudena prints collaged images to represent migration. The project explores the colonial legacy in modern-day Britain. Almudena works with a wide range of photographic processes to explore issues around identity, representation and ideology. She is artist in residence at RAW Labs until September 2018.